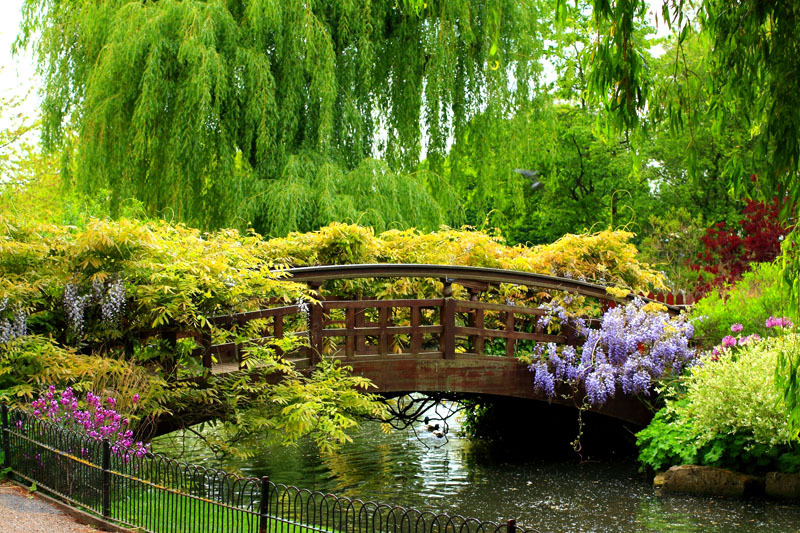 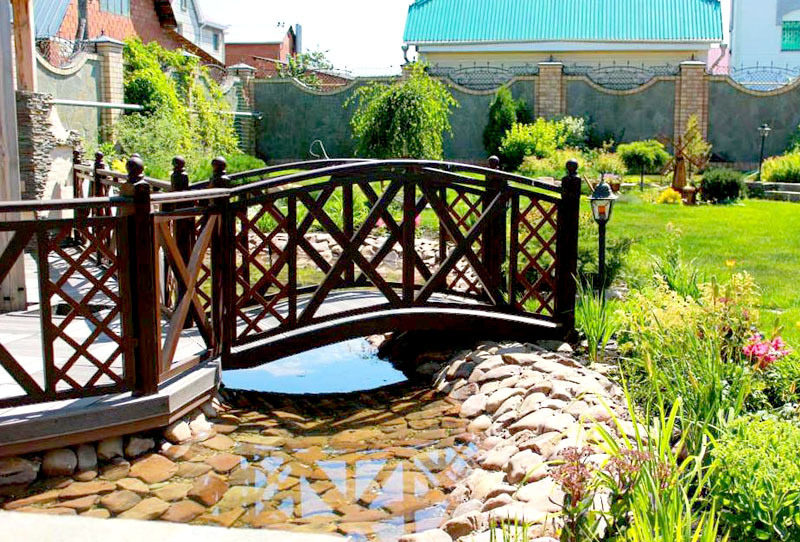 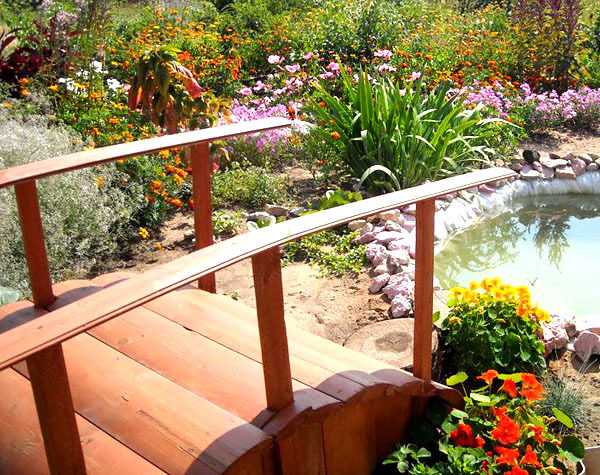 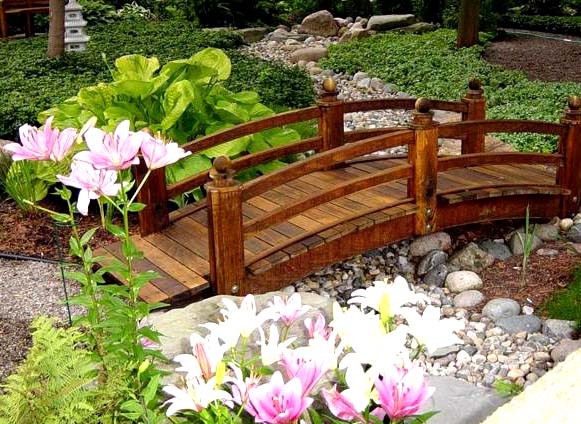 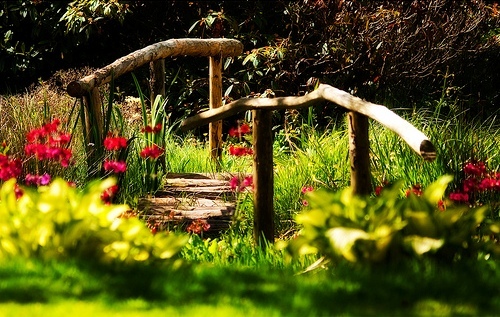 Very fresh and interesting idea is to place a wooden bridge in the garden as decor. 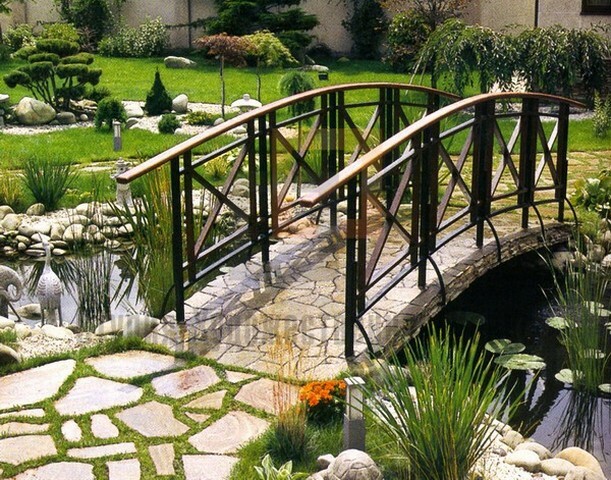 Gives exceptional artistry and causes desire to move and walk. 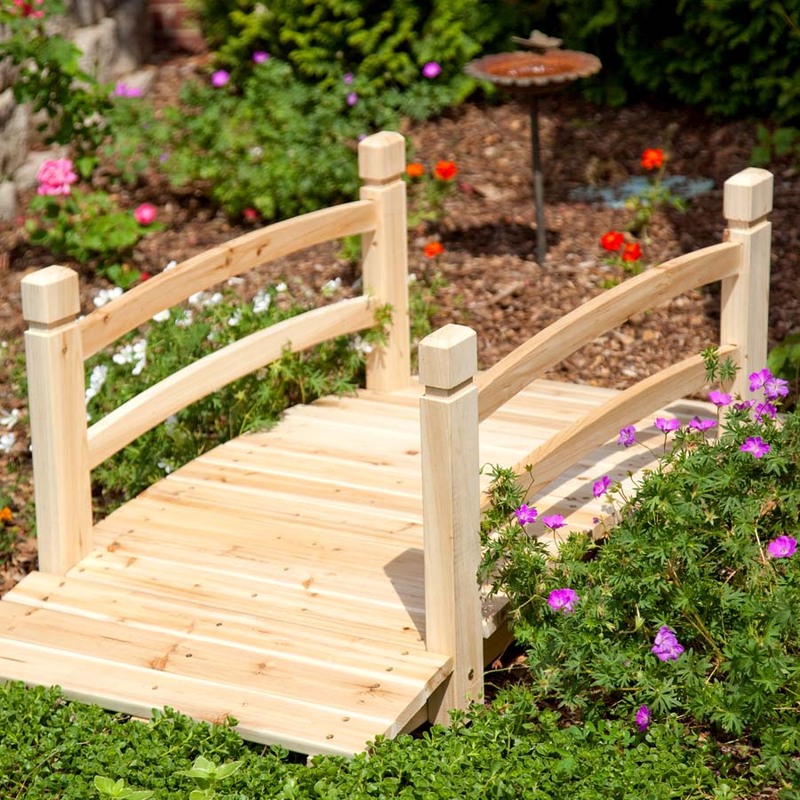 Although the bridge will perform entirely decorative function, it should still be strong enough to withstand a certain load. 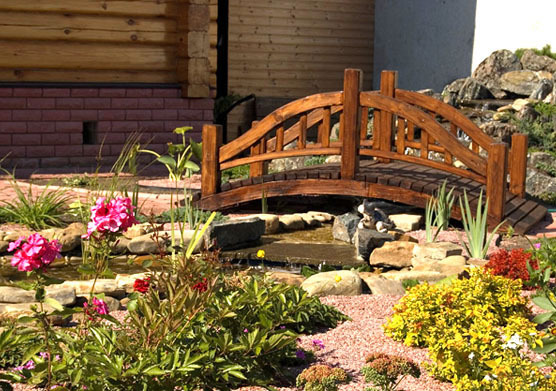 Painted in bright colors and do not forget to protect your exterior wood with lacquer. 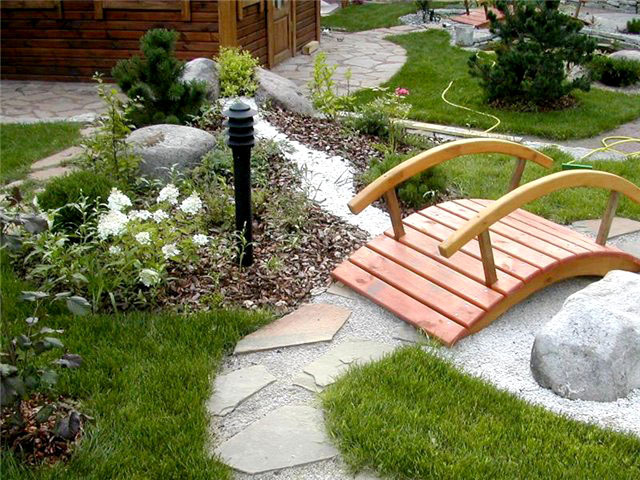 Include stones, logs or trees and other nature materials to arrange a cozy and inviting area. Search for and arrange pottery planted with fragrant flowers.